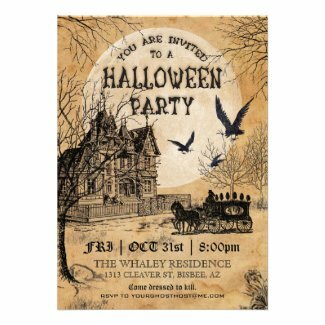 Get ready for a spooky Halloween party this year and invite friends and family to your Haunted House in style with one of these Vintage Halloween Party Invitations. These creepy vintage announcements look like something one of the Addams Family or Munsters would send. 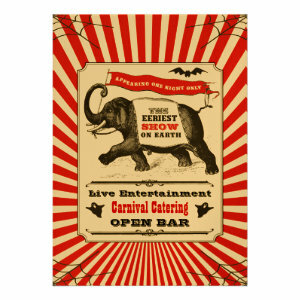 Filled with Gothic charm you can find different Halloween themed announcements, like Spooky Steampunk Circus invites, Vintage ticket invites, Edgar Allen Poe's The Raven invites, and lots more creepy invitations to get your guests in the mood for a frighteningly good Halloween party. 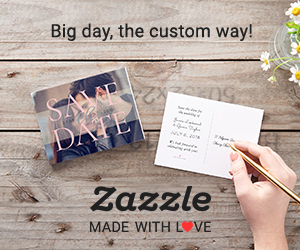 All of the invitations can be easily personalized, just enter your guests name, party information and R.S.V.P details. You can change the font style, colour, and style. 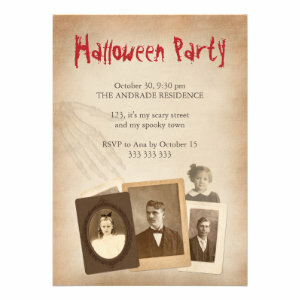 Send your guests a Vintage Halloween Party Invitation this year and get your celebrations off to a spooky start.